the day to day running of UAUT shall be vested in the University Council with the Vice Chancellor as the main link between the Board of Trustees and University Council. 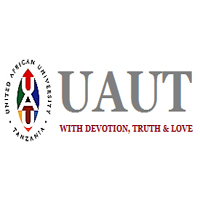 UAUT obtained Certificate of Full Registration (CFR) from Tanzania Commission for Universities since 2012. Vision: We aim, in God’s direction, to equip students with Integrity and Excellence. – At least 4 years of teaching experiences after attaining PhD. – Publications in International journals which on assessment produce 3 points.